I am lucky enough to work with a magnificent collection of microscope slides. These were made in the early and mid 20th Century by an analytical chemist from Bristol called Eric Doddrell Evens (known as EDE). Although he was a very competent chemist, all of his life he also had a keen interest in the world around him; in the rocks, the plants, the animals and the small organisms that live in ponds, streams and the sea. He used his meticulous science skills to develop ways of making these into slides so well that even now they are still things of beauty. Capsules of moss (Funaria hygrometrica) collected at Nailsea in April 1956. Mounted in glycerine jelly in March 1970 by EDE. He found a young flat fish in a sand pool at Brean Down in Somerset in spring 1949, mounted it in glycerine jelly and nearly 70 years later we can still see the detail in the fish’s markings when examined under a low power microscope lens. There are more than 2000 of these lovely slides in the collection, and in his long life he made many more. These slides and notes are a rich source of historical, ecological and scientific information about places, specimens and methods of his collecting area in that time. For example in 1950 he collected Phacus from a ‘Horse-pond’ in the Mendips, by the 21st century this sort of livestock pond had almost disappeared as the agricultural practises change, but in 2016 the Mendip Ponds Project to reinstate some of them was begun to restore biological diversity in the area. It is not easy to make preparations of this quality, you have to practise, pay attention to small details such as the exact concentration and make-up of the medium. You have to have patience – each of these slides took weeks to make as the object was first prepared by slow soaking in a range of solutions to preserve the material, then arranged in a life-like way in a medium that would hold it in position, and finally the slide was sealed. 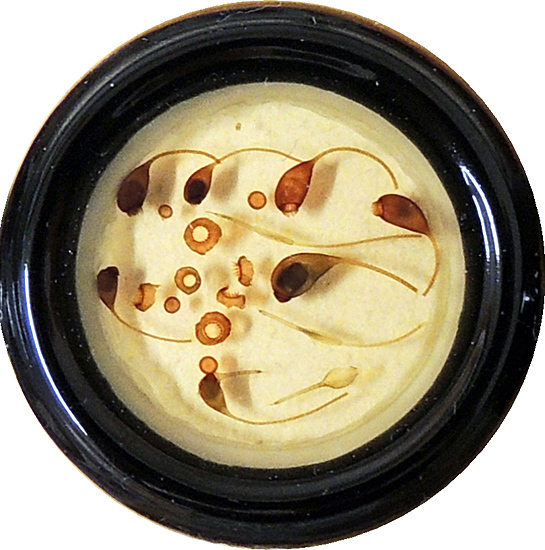 EDE would give many coats of lacquer at two week intervals to seal the edge of the coverglass to the slide before applying the black finishing coats. Because of his attention to detail the mounts have not leaked even though some of these slides spent two or three years being posted around the country, or even to North America, in a cardboard box for members of the Postal Microscopical Society (PMS) to enjoy at home. What EDE did do was to make detailed notes on the labels so that we know where and when he collected them, what chemicals are in the mountant and what stains, if any were used. “The capsule is closed by a lid which falls off … when the spores are ripe but the opening is still guarded by a fringe of narrow triangular “hairs” which are hygroscopic, closing the entrance when damp & only allowing the spores to escape when the weather is dry. This fringe is known as the peristome and it varies in structure in different mosses & is used for classifying them. This is a truly scientific approach, one that both the professional and the keen amateur can emulate. 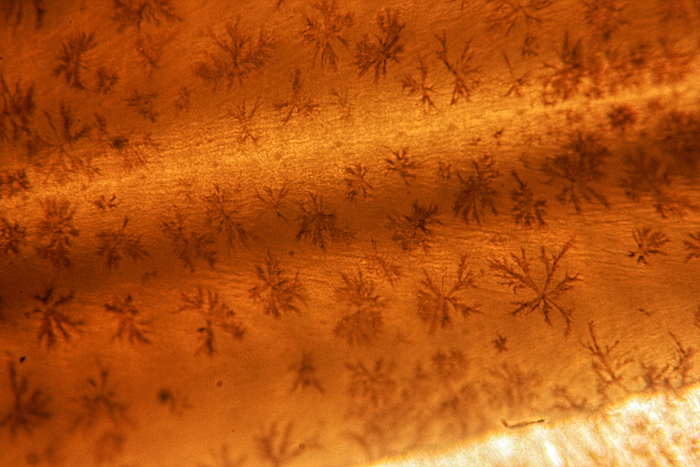 The slide collection belongs to the Quekett Microscopical Club.